Take a look at this "Video Sneak Peak" of a NEW program that auto-draws custom railing AS FAST AS YOU CAN THINK! Now you'll be able to detail up to 3,600 3,000 (added a few extra's to slow it down!) 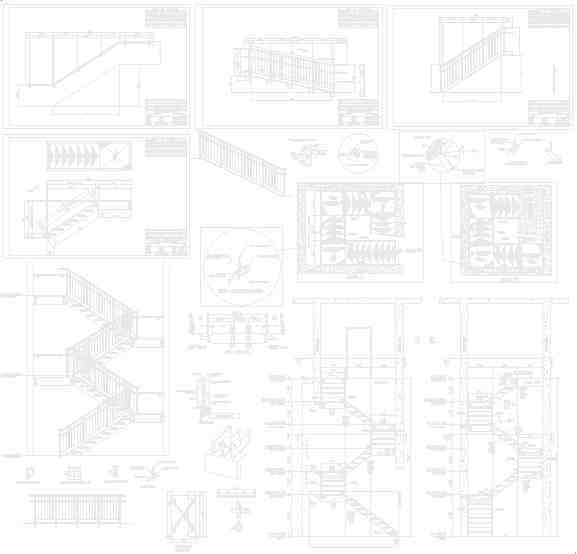 railings & shop drawings per hour!!! Custom-Railing.lsp Sneak-Peek4 Video (layer control) New Video! Custom-Railing.lsp Sneak-Peek5 Video (Post above rail & Master-data sets) New Video #2! Custom-Railing.lsp Sneak-Peek6 Video (Longer Than Maximum-Length Railings 30'-0"+) New Video #3! If enough interest is generated, I will include arc'd and sloped railings in the next version! Using Title-Blocks with the Railing programs! Check out the video on the Custom-Railing-Designr website (above)! Free-Form added to Custom-Railing-Designr's Auto-Mode!